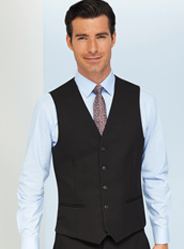 Stunning new range of men's & women's tweed waistcoats, knitwear and chinos to create the perfect business casual look. 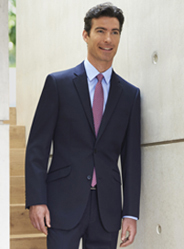 High performance mid-weight corporate suiting - classic, tailored and slim fit options for men and women. 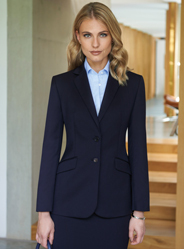 Superb new mid-weight corporate suiting - slim and tailored fit options for men and women. NEW FOR 2019. 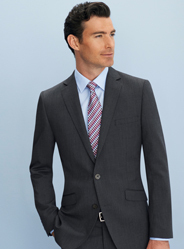 This range is crafted from a midweight Polyester/Viscose/Elastane fabric which offers both durability and comfort. 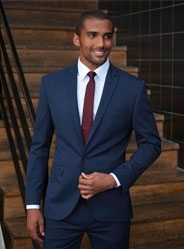 Durable heavier weight corporate suiting - Classic and tailored fit options for men and women. Mid-weight entry level collection - Ideal for hospitality, schools, facility management & health sector. 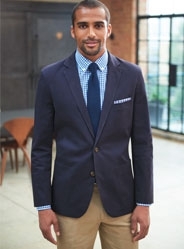 Beautiful selection of shirts, blouses and easycare tops designed for the rigours of everyday wear. Classic and stylish raincoats and overcoats, available in both black and navy.